According to a credible source, early this morning or late last evening an adult male hawk crashed into a third-floor picture window on the eastern side of Building 1309 of the historically important Westmoreland Terrace Condominiums. The hawk died from the impact. A similar tragedy occurred this past Saturday. 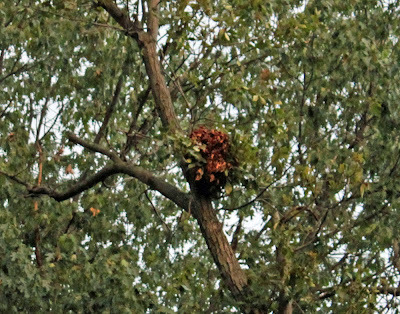 The two hawks apparently were a nesting pair. 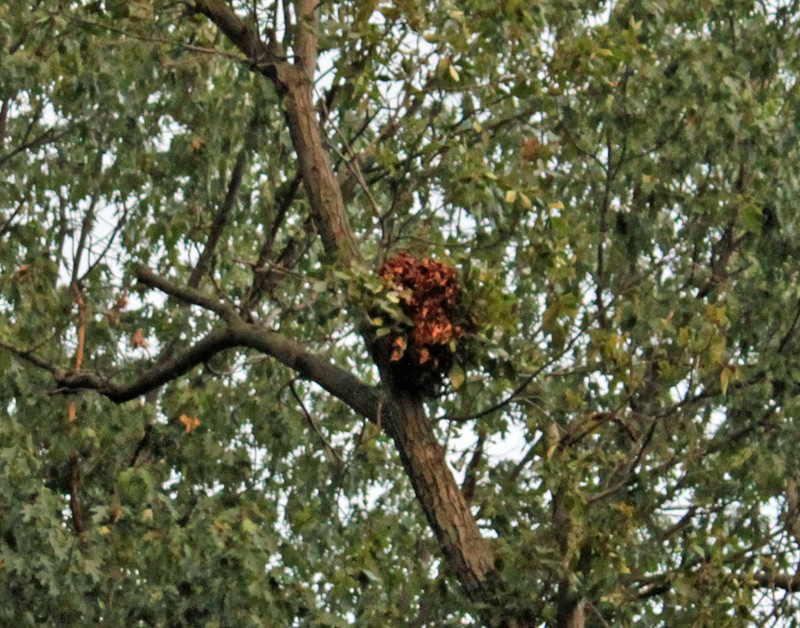 They built their nest in an old tree on the wildlands across from Westmoreland Condos on N. Ft. Myer Dr. The nest is now desolate. Westmoreland's picture windows create a forest mirage with the reflections of the beautiful, large trees on the property. But is there more to this story? 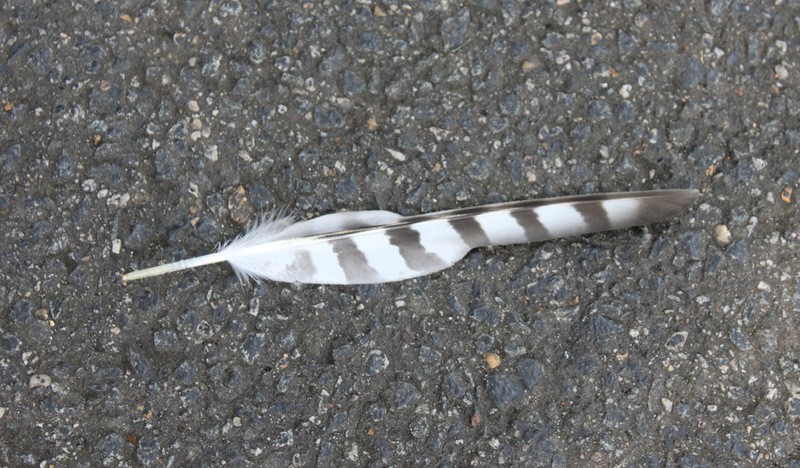 An Ode Street Tribune investigative team scouring the site of the crashes discovered a lone feather lying in the parking lot. The feather definitely belongs to the type of hawk involved in the crashes. However, the feather appears to be too far from the site of the crashes to be an artifact of the crashes. The Tribune's investigative team speculates that the cause of the crashes was the territorial instinct of the mating pair. The hawks saw not just the reflection of trees in the window, but also their own reflections. They took those reflections to be an intruding hawk. When they responded aggressively, the reflection responded aggressively in turn. They dove to engage the foe, and the foe sped towards them. They died from combat with their own reflections. How did the Tribune's investigative team manage to form this conjecture based only on the discovery of a feather? The key insight is the speculation that the feather is a feather from earlier combat with a real intruding hawk. Stay tuned to the Ode Street Tribune for the best local investigative reporting. Update: Westmoreland residents reported hearing cries of chicks from the nest earlier this weekend. Unfortunately, without their parents, the chicks are doomed.